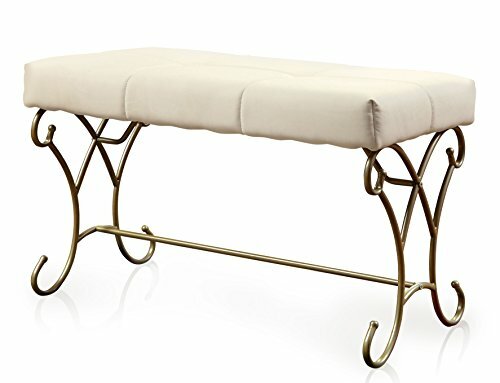 The Candara Bench by ionomers features charming curves and a stylish two-tone design. Its cushioned leatherette upholstery provides ample comfort and support while sturdy curved legs ensure a well-supported foundation. Add an enchanted touch to your bedroom style with the Candara Bench by ionomers.